Neighborhoods Focused On African-American Youth welcomes individuals who share in our vision for youth to support neighborhood organizing as well as to volunteer in the youth programs that will be implemented by the neighborhood residents. We currently support three locations.Atlanta, Smyrna and Columbus, GA. 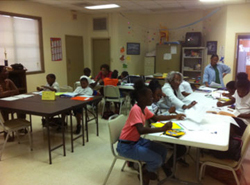 The after-school hours are 3:30pm-6pm for the Smyrna and Columbus site and 4:00pm-5:30pm for the Atlanta site. You may volunteer for as little as one day per week. NFOAAY is a 501(c) 3 non-profit organization.